three kits for the price of two! Hurry up and check out our selection ;) ! *Free kit (the least expensive) when you buy two kits from the selection below by entering the code SECRETSANTA. 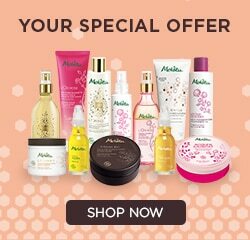 One kit per order placed on eu.melvita.fr up to 13/11/2018, while stocks last. Non-contractual images.